 Kimura T, Mahaffey C M, Pryde B J, et al. 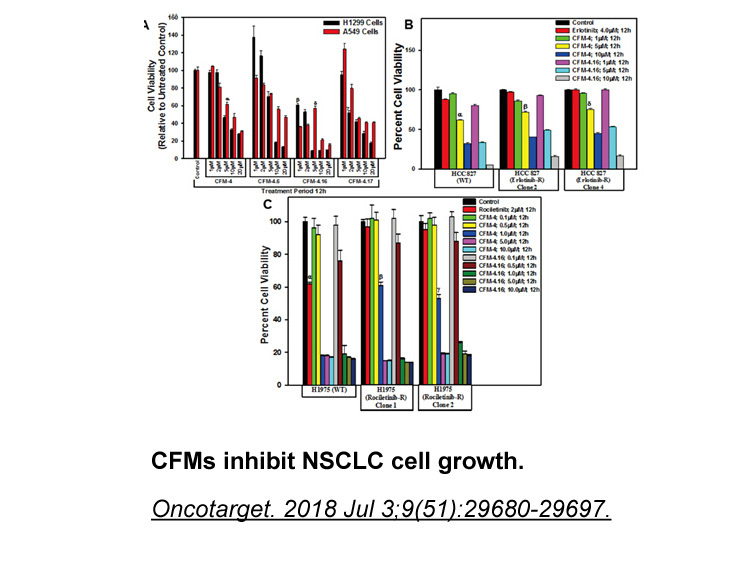 Apoptotic effects of the docetaxel→ OSI-774 combination in non-small cell lung carcinoma (NSCLC) cells//Proc Am Soc Clin Oncol. 2004, 22: 7143. Higgins B, Kolinsky K, Smith M, et al. Antitumor activity of erlotinib (OSI-774, Tarceva) alone or in combination in human non-small cell lung cancer tumor xenograft models. 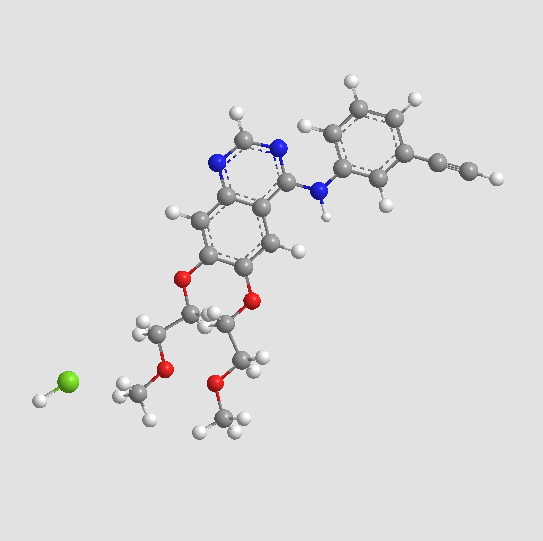 Anti-cancer drugs, 2004, 15(5): 503-512. 1. Melosky B. 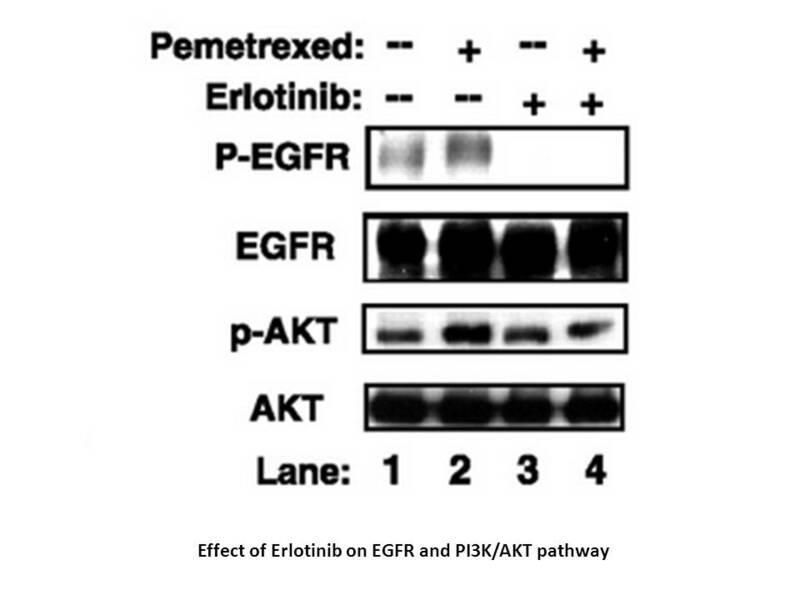 Review of EGFR TKIs in Metastatic NSCLC, Including Ongoing Trials. Front Oncol 2014,4:244. 2. Zheng YT, Yang HY, Li T, Zhao B, Shao TF, Xiang XQ, et al. 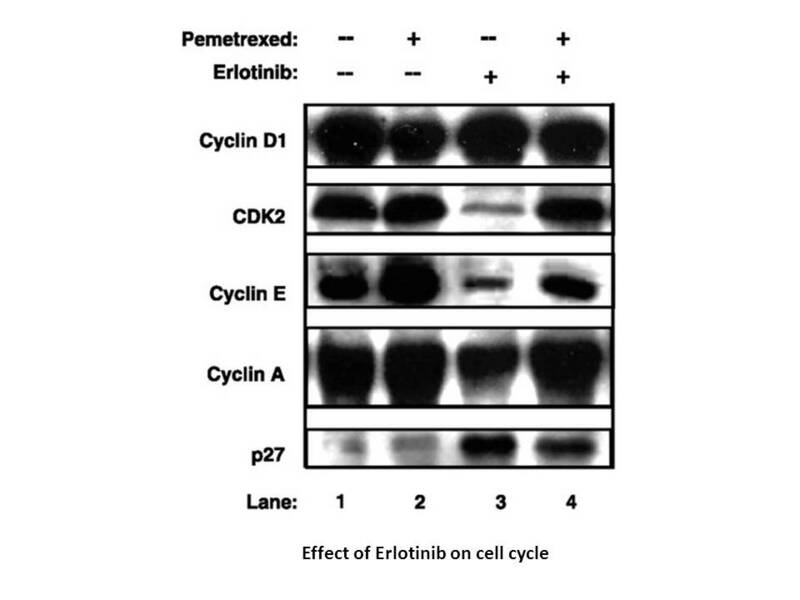 Amiloride sensitizes human pancreatic cancer cells to erlotinib in vitro through inhibition of the PI3K/AKT signaling pathway. Acta Pharmacol Sin 2015,36:614-626. 3. 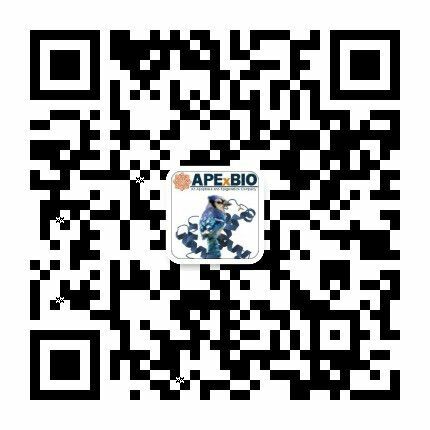 Huether A, Hopfner M, Sutter AP, Schuppan D, Scherubl H. Erlotinib induces cell cycle arrest and apoptosis in hepatocellular cancer cells and enhances chemosensitivity towards cytostatics. 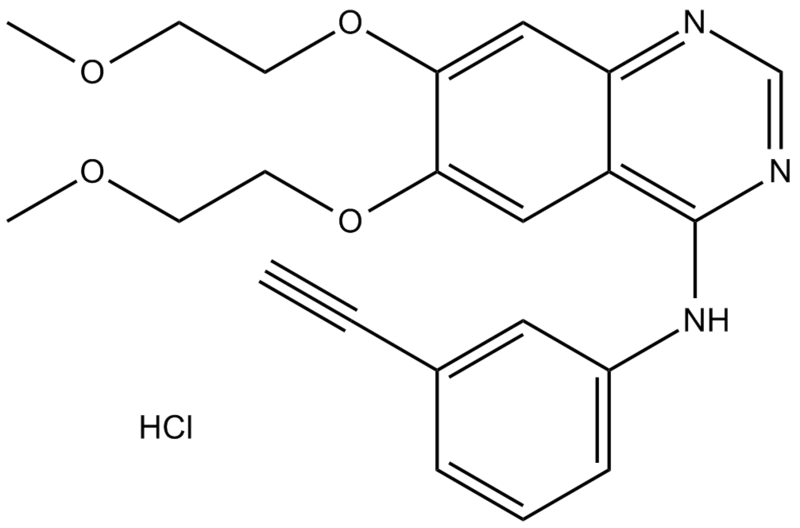 J Hepatol 2005,43:661-669. 4. Singh N, Jindal A, Behera D. Erlotinib usage after prior treatment with gefitinib in advanced non-small cell lung cancer: A clinical perspective and review of published literature. World J Clin Oncol 2014,5:858-864. 5. Renouf DJ, Tang PA, Hedley D, Chen E, Kamel-Reid S, Tsao MS, et al. 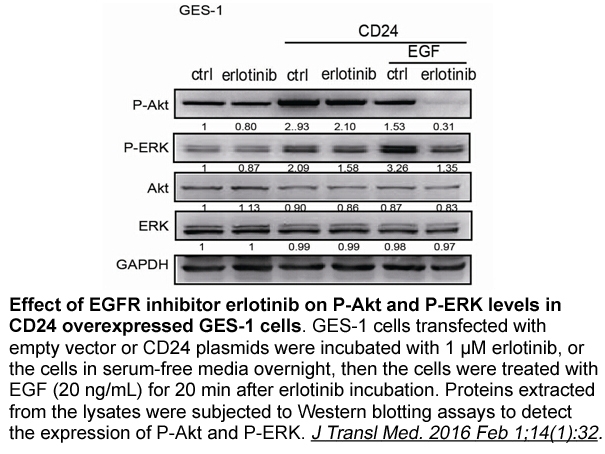 A phase II study of erlotinib in gemcitabine refractory advanced pancreatic cancer. Eur J Cancer 2014,50:1909-1915.